There were multiple pairs of the ruby slippers, sometimes referred to as ruby red shoes, worn by Dorothy Gale (portrayed by Judy Garland) in the 1939 movie version of the Wizard of Oz. The pair of ruby slippers pictured above and used in filming the movie was donated anonymously to the Smithsonian Institution Museum of American History in 1979. In the original book The Wonderful Wizard of Oz by L. Frank Baum the magic slippers were silver. But ruby red slippers provided a more striking appearance against a yellow brick road, so the silver slippers of the book were changed to ruby slippers for the movie. The photograph above shows the ruby slippers pictured on the yellow bricks in the museum’s display case. Judy Garland wore these size 5 shoes when she was 16 years old. The pair in the Smithsonian have felt soles and may have been used for dancing. The ruby red color of the shoes comes primarily from the glistening red sequins that cover the shoes. 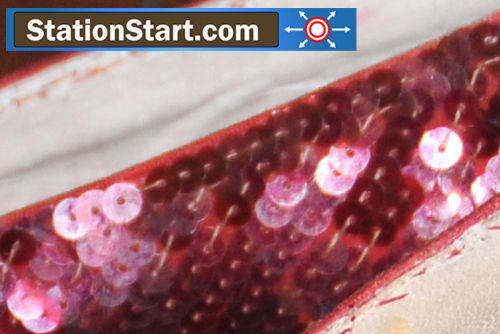 The round sequin discs are easily visible in the above photographs showing the sequins on the inner side (left side) of the right shoe. Even though the ruby red color of the shoes comes primarily from red sequins, the bows use red from other sources. Each bow is covered with 46 red rhinestones, 42 red bugle beads and 3 large red jewels. These are easily seen in the close up photograph above. Interestingly the bow pictured above is from the right shoe in the Smithsonian. That bow is a little bit odd shaped in that it does not have the same evenness and symmetry as the bows on the other known pairs of shoes used in the movie. Because this bow shape is recognizable, this pair of shoes is believed to be the primary pair worn by Judy Garland in the filming of the movie. For example this shoe with its slightly odd shaped bow can be seen on Judy Garland’s right foot when she enters the Emerald City throne room. Click Ruby Slipper Design to see the design of the ruby slippers including details of the bow on The Ruby Slipper Fan Club website. 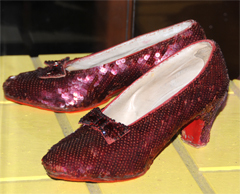 This pair of ruby slippers worn by Judy Garland is located in the Smithsonian Institution Museum of American History. Click Museum of American History to see the StationStart.com entry about the museum and its location. Closest Metro Station: The Federal Triangle Metro Station on the Blue and Orange Lines is nearest to the Constitution Avenue NW entrance to the museum, but the Smithsonian Metro Station, also on the Blue and Orange Lines, is only a little bit further from the National Mall entrance to the museum. Within These Walls . 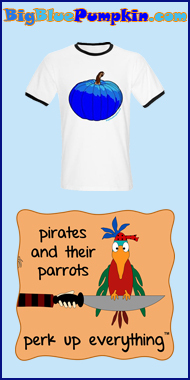 . .
And there are various changing exhibits as well. Many people who visit the museum are particularly interest in an article displayed as part of the National Treasures of Popular Culture exhibit. 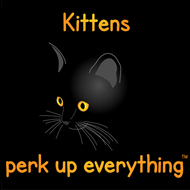 That article, articles really, are the red sequin shoes know as the ruby slippers worn by Judy Garland in her role as Dorothy in the 1939 movie The Wizard of Oz. In 1979 these shoes were donated to the museum anonymously, and they are one of the most asked about treasures in the museum. 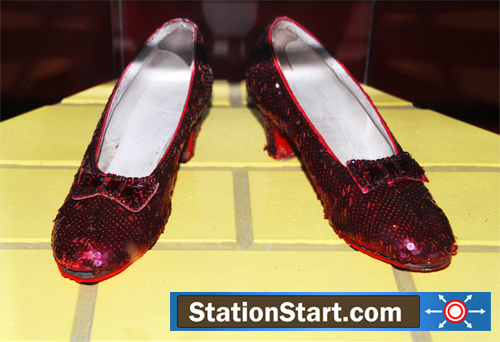 Click Ruby Slippers for a StationStart.com entry that provides more detailed information on Dorothy’s ruby slippers worn by Judy Garland in the 1939 movie The Wizard of Oz. Click Museum of American History Website to visit the website of the Smithsonian Institution’s Museum of American History Website. 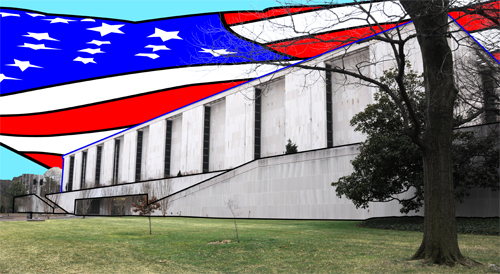 The Smithsonian Institution National Museum of American History is located on Constitution Avenue NW between 12th and 14th Streets NW, Washington, DC. Click Here for Google Map showing the location of the Smithsonian Museum of American History.